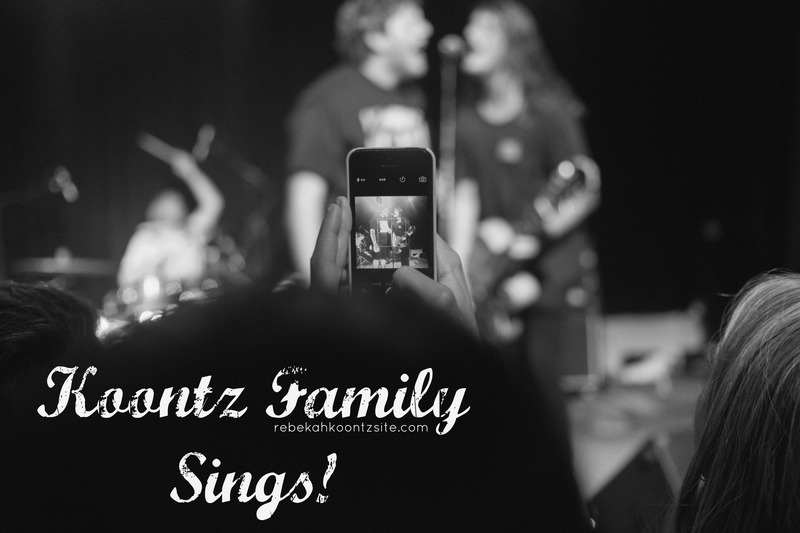 April 20, 2015 April 20, 2015 Categories Church, Family, LifeChristian, Church, Family, Family Singers, He Made A Change, LIfestyle Blogger, Music, Singers, Worship3 Comments on Koontz Family Sings! You all caught a glimpse of our singing in my A Sunday In My Life post. However, that is a mixed ensemble me and my parents are in. What you didn’t know was that there’s another member in our family–besides my older brother who is off to sea– who had yet to make his debut on the stage. Before I get into that, a little history lesson. I come from a musical family. All my life, my parents have sang and taught classes. I remember the first time I got up there and sang with them. I stood to the side, near an amplifier, as they played guitars bigger than I was. The first song I sang was Lord I Lift Your Name On High, and I remember I knew the sign language motions for the song. I was so proud of myself. It grew from there. I wanted to learn how to sing. I would sing along to the weird Christian hip hop songs on my tape player, rewind it, and sing them again and again. My dad continued to sing. My mom can harmonize to anyone. My older brother was never too keen on singing, until he left to a military prep school, where they preformed Les Miserable, and we were all shocked and amazed to find he had, not only a solo, but a perfect falsetto voice. Last one out of the ring was my little brother, until last night at church. A special thank you to Jake for being a great camera man! Omg I loved it. Your brother’s voice is amazing haha. You all have amazing voices. Y’all are so cute singing together. He indeed made a change. Praise God.